I love reading to preschool children. All the silly voices and all the crazy lady intonations sit easily on my drama teacher shoulders. The children sit, listen, engage and submerge themselves in the story. They laugh at all the right moments and they look ‘pretend scared’ when I tell them to be. “Let’s do our frightened faces…!” One of my favourite stories is ‘When Mum Turned Into A Monster’ because the Maggie Smith in me really goes to town with the monstrous voice of ‘Mum’ and the posh tones of the awful aunt. The book is a funny page-turner that touches on empathy and how we can help each other… or not! And the children love it. The thing is, shared reading works because it’s fun, and because it exposes children to all sorts of words, pictures and clues, all packed into one favourite book. The more books children encounter, the more exposure to language they have. That much is obvious. What isn’t so apparent is that early years books have a syntactic complexity which is written especially for pre-schoolers. 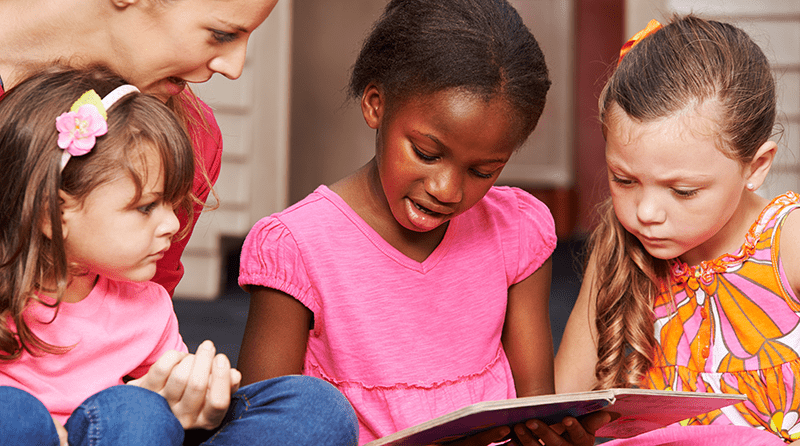 When children listen during shared reading, they hear complex language being spoken by someone who would never normally speak to them in that way. This makes it very different to everyday conversations they have with adults and peers. One study found that children’s books could be even more complex than the normal everyday conversations between adults. Added to this, even really simple picture books prompt adults to use more complex language than the language they use when playing with children. Early shared book reading has positive effects on children’s expressive vocabulary, and also on grapheme awareness. Storybooks contain clues that help children understand the meaning of words that they might not know. Even without any formal letter instruction, studies show that grapheme awareness is a by-product of enjoyable shared reading. This is rich input indeed. It is a no-brainer, then, that the amount and quality of a child’s shared reading time is positively linked with future language development and success at school. And, of course, we need to check out the faces and body language of the children we are reading to, making sure they are enjoying the book. Are they savouring the closeness and the fun of reading together? If we notice a lot of wriggling bottoms and yawning, we may need to rethink our strategy. It isn’t simply about opening up a book, reading it, and ticking the ‘I’ve read to the children’ box. It’s about enjoying the time, making silly voices, laughing together, wondering what will happen next, pointing at pictures together, and then re-reading the whole book all over again. My record is six times in a single sitting, and they still wanted it ‘just one more time’! When you find yourself in the book corner or outside in a quiet den, reading a book to a group of children over and over, you’re doing a great job. Building a love for books is precious. It leads to all-embracing enjoyment, plus of course, potential literacy success in the future. Shared reading is a significant building block to literacy and it helps children create a rich language to express themselves. Luckily for us, it is also an enjoyable and relaxing way to build confident future readers. And, what is more, children who are more reluctant to engage in shared stories will be so attracted by the sheer fun everyone is having that they will want to join in too. Now, where is that ‘When Mum Turned Into A Monster’ book? Time to read it again! And again. 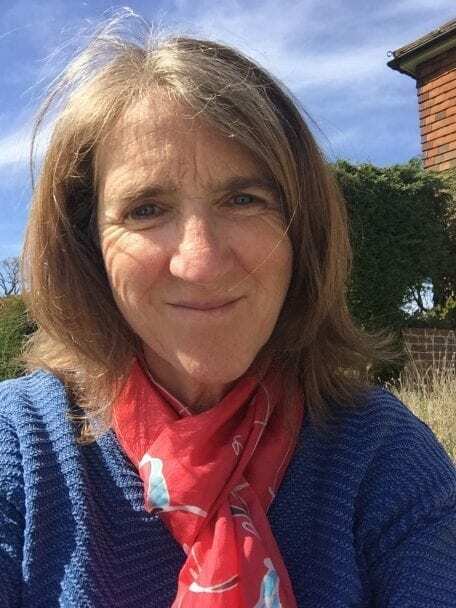 Helen Garnett is a mother of 4, and a committed and experienced Early Years consultant. She co-founded a pre-school in 2005 and cares passionately about young children and connection. As a result, she has written a book, ‘Developing Empathy in the Early Years: a guide for practitioners’. She has also co-written an Early Years curriculum and assessment tool, at present being implemented in India. Helen is also on the Think Equal team, a global initiative led by Leslee Udwin, developing empathy in pre-schools and schools across the world.